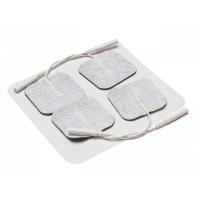 Lumiscope TENS Unit Electrodes, Pre-Gelled, 2" x 2"
TENS/EMS Units & Stimulators can be found in our extensive online collection of products from globally recognized and trusted brands, including Grafco. An excellent option to consider is the Tens Pre-gelled Electrodes. 6.5" x 4.86" x 1.78"